It is amazing to see the control and composition in Gieraths photographs. So even, so carefully color toned. Crafted images in so many ways. 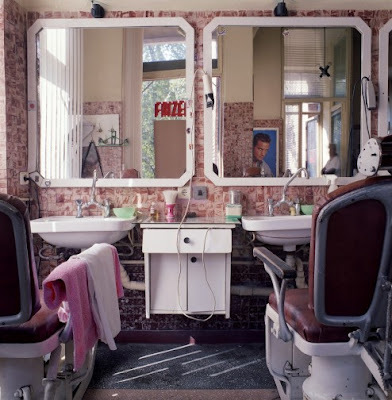 I wonder about the barber / beauty shop photograph…..Is this an extension of all the beauty shop pictures before? I’m not sure that it is – empty. 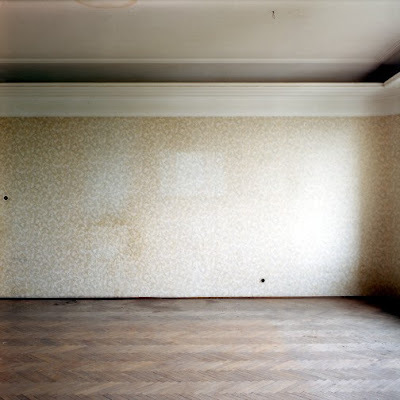 I wonder about the influences of Thomas Ruff…. ? A tough question to ask yourself…. in developing a voice… an image…. a signature style. More about Christian Gierath on his website…. This entry was posted in Art Photography, Photography and tagged Art Photography, Christian Gieraths, Galerie Poller by Matt Niebuhr - West Branch Studio. Bookmark the permalink.